Precious Moments ‘Tis the Season #111163. 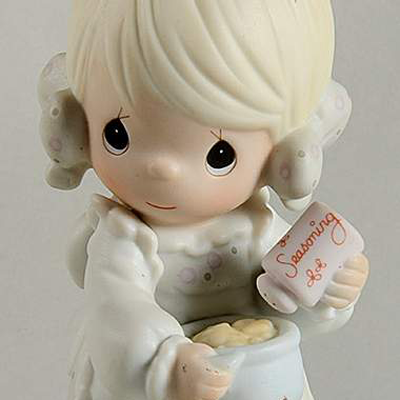 This Precious Moments figurine depicts a girl sprinkling seasoning in a mixing bowl. 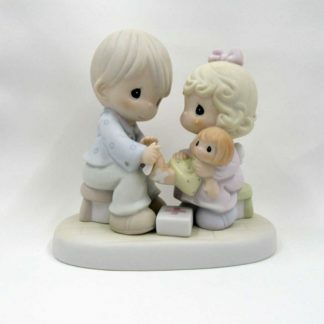 Enesco Precious Moments ‘Tis the Season #111163. 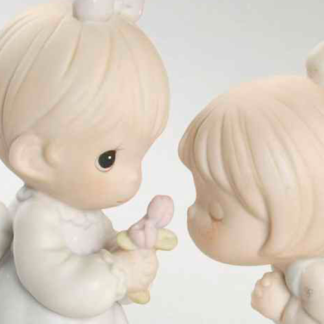 This Precious Moments figurine depicts a girl sprinkling seasoning in a mixing bowl. Made of porcelain and painted in soft pastel colors. Approximately 5 1/2 inches tall.